EY Not only did my heart flip, but I got butterflies when I spotted you several times the other night. (3-4) It did not seem right to say hello to you at the time, as I was with my date, but the lighting change you made right at the right time was just lovely! The point is I can not, and will not stop thinking about you. Call me maybe?? 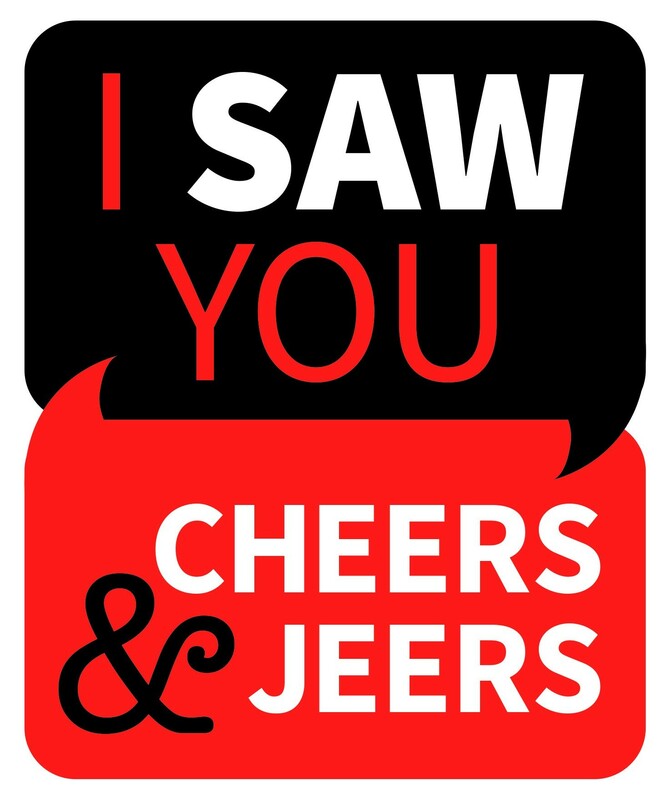 I Saw You... I saw you hit your dog. I hear you hit your girlfriend. Just because you are behind closed doors does not mean that you have gotten off without being noticed. We all do. I saw you that day. I will never forget it. That look on your dog's face. Or how about the fact that we hear what you do to her. Hear her pleading with you to stop. Calling the police doesn't faze you anymore. I am here. I am a survivor. I am not going to sit back and let monsters like you think they can't be touched. I know that I am not the only one. She's always got another bruise to explain to her friends and family. She's always making up excuses for you. I see you. She's always coming up with reasons that this is her fault, that she shouldn't have angered you. I see you. She always believes that you'll get better. I mean, you did just apologize, and you sounded 'so sincere'. I see you. She tells herself that she deserves this, that somehow all of this is her fault. I see you. But everyone sees you for what you really are, even when you convince someone else, even yourself, that you are this 'flawed hurt person.' You made the choice to strike someone else, your past has nothing to do with it. How many people hang onto the excuse, 'My past made me do it?' You made you do it. David Pelzer was horrendously abused yet showed nothing but love for his children and wife. Many people have grown to be wonderful parents, spouses, successful people without even raising a hand to the ones they love (or committing other acts of abuse) even after having faced abuse in their lives. Your abuse is your own fault monster, and people can see your true colours. If anything, I can. I can hear everything. To the victim: You are not alone. Shadle Walmart I saw you at Shadle Walmart, late morning of 3/11/17; between 11 and noon. You were driving a white GMC Terrain... I was with a friend sitting outside of starbucks. I had a beanie and aviators on. We exchanged 'smiles and waves'. You spent a lot of time preparing a pink gift. We should meet for coffee sometime! Aloha Island Grill Boys I just want to give a huge cheers out to the guys that work at Aloha Island Grill on Monroe Street. I have been going in there daily for the last 3 years. The food is excellent and all of the employees provide top notch customer service. They always have a positive attitude and provide the friendliest service. I just want to thank Aloha and it's employees for always providing excellent service 100% of the time, keep up the great work!!! DOOR OPEN Fine young miss: I didn't mean to cast aspersions on you, per se. I'm a "writer" and you were doing your job controlling people. I have many resources, and so do you I'm sure. I wish we could meet some time for coffee, but judging by your entourage you have little time for haughty chit chat. Cheers! Breakup By Text Jerk Jeers to the Jerk... that would be me. My apologies to the dating site girls (yes plural) I broke up with by text. I was the fool and the jerk. I have thought of writing to you and apologizing, but the damage is already done, and in some instance, it has been a few years now... As the dust settles in my brain, I can see that I was emotionally insecure and too distracted to recognize your beauty and intelligence and individualism. You don't deserve a fool. Please don't define yourself by anything said in the end, because none of it was true. Happy trails to you... and though you don't have to accept my apology, please know that in retrospect, I wish I could have been more respectful and loving, because that is what you deserve. yow! Landlords Shame on you greedy people. It's not enough that rents are going up. But you require that we have to make 3 times the rent in order to be considered for a place. It's not your business on how much we have over after we pay rent and utilities. The income barriers you set up are discriminatory to those who get disability checks. You are saying to the public that if you can't afford to live in Spokane then get out of Spokane. You are the reason people are asking to raise the minimum wage.